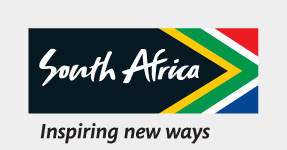 JJOHANNESBURG, SOUTH AFRICA – A delegation of about 50 professionals from the United States arrived in South Africa on Sunday, 17 March, led by former United Nations Ambassador and Mayor of Atlanta Andrew Young and his wife Carolyn. Among many highlights of this once-in-a-lifetime trip will be the unveiling of a statue of Dr. Martin Luther King, Jr., at the Cradle of Humankind exhibition, a short drive from Johannesburg. Coordinated by the non-profit Andrew J. Young Foundation, the purpose of the two-week mission is to engender deliberations and collaborations between U.S. and African governments and various institutions. Ambassador Young calls Africa a “continent of opportunity,” and has made it one of his major focuses since leaving public life over two decades ago after serving as co-chairman of the Centennial Olympic Games in Atlanta. He celebrated his 87thbirthday last week on March 12, before departing Saturday on this remarkable trip. While in South Africa, Ambassador Young will be conferred an Honorary Doctorate from the University of Johannesburg. - Chobe National Park in Botswana. - Dinner with His Excellency, President Hage Geingob of Namibia. Ambassador Young is Chairman of the Andrew J. Young Foundation and Carolyn Young is Vice-Chair. The delegation returns to Atlanta on March 31.